This plugin provides integration of Authorize.Net the Payment Gateway to Phoca Cart - e-commerce extension for Joomla. Authorize.Net accept international transactions from customers worldwide.Seller's business must be based in the United States, Canada, United Kingdom, European Union or Australia. 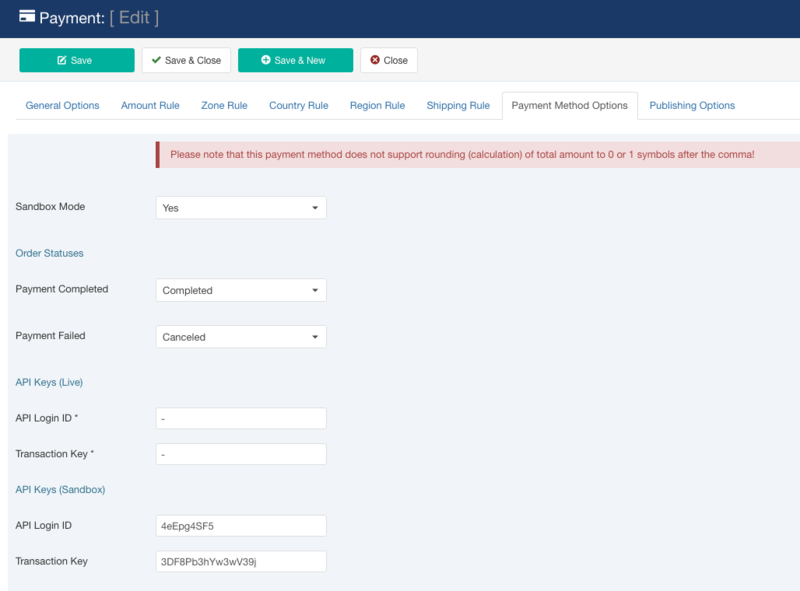 More details concerning the payment plugin can be found at product page. Your site must have a valid SSL certificate (TLS 1.2+) to ensure card details of your customers are safe! This data should be added in Phoca Cart payment method settings. 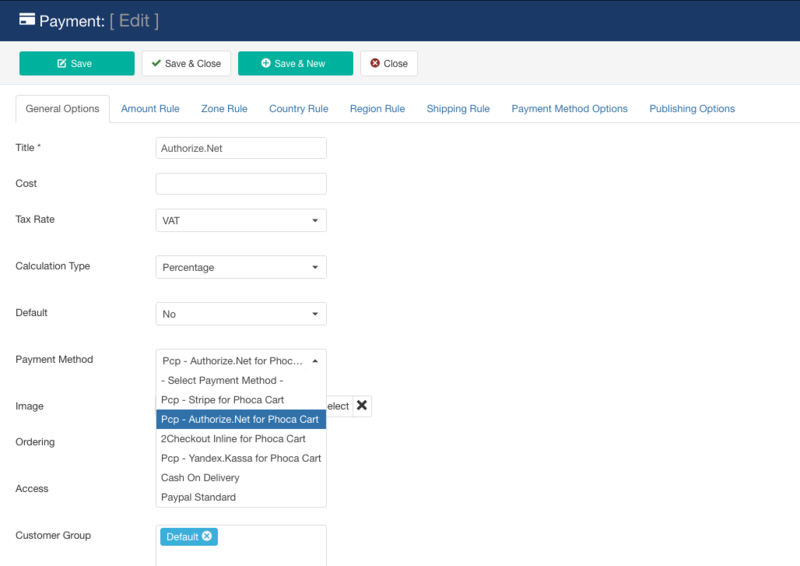 Authorize.Net for Phoca Cart can be installed as typical Joomla extension. Make sure you have downloaded the latest version of the plugin. Proceed to Administrator panel > Extensions > Manage > Install and select the package downloaded from NorrNext site. Then go to plugins and enable Authorize.Net for Phoca Cart plugin. API Login ID - Set your live API Login ID. You can find it under Settings in your Authorize.Net Merchant Interface. Transaction Key - Set your live Transaction Key. You can find it under Settings in your Authorize.Net Merchant Interface. API Login ID - Set your sandbox API Login ID. You can find it under Settings in your Authorize.Net Merchant Interface. Transaction Key - Set your sandbox Transaction Key. You can find it under Settings in your Authorize.Net Merchant Interface. This feature allow to get an update of the plugin via back-end in few clicks. Set your download key to enable the update using Joomla! Update System. You can find the key in your Authorize.Net for Phoca Cart subscription on the NorrNext website. Create a sandbox account at Authorize.Net developer site and get API Login ID and Transaction Key. Enable Sandbox mode in the payment method, add test API Login ID and Transaction Key and use Test card numbers to proceed with demo payment.